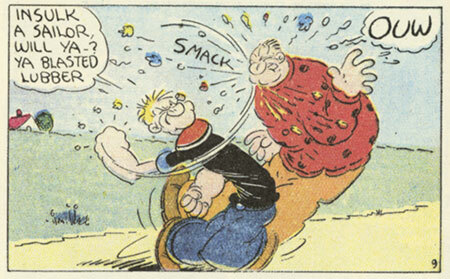 Should a “permanent shrine” be erected in honor of Popeye? Why bring Popeye into it? Or, why not be more precise? Surely he doesn’t mean Popeye, star of Elzie Crisler Segar’s Thimble Theater, one of the finest American newspaper adventure comic-strips? 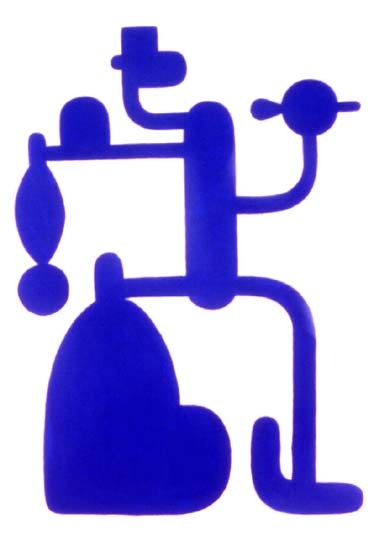 Is it Popeye, the protagonist of the Fleisher Studio’s animated cartoons? Or, does he mean Popeye the character played by Robin William’s in Robert Altman’s film Popeye? It Popeye’s Chicken & Biscuits, the chain of fast food restaurants? Perhaps he means Jimmy “Popeye” Doyle the fictional detective from The French Connection? Tom Kaczynski is a cartoonist, writer, publisher, and teacher. He is the author of the Eisner Award nominated graphic novel Beta Testing the Apocalypse (Fantagraphics), Cartoon Dialectics series, and the forthcoming Trans Terra graphic novel. His comics have appeared in countless anthologies, including The Nib, Mome and many more. Tom K is the founder of Uncivilized Books, a boutique graphic novel publishing house. Since its inception, Uncivilized Books has published acclaimed and award nominated graphic novels by Gabrielle Bell, Noah Van Sciver, David B., Joann Sfar, Sam Alden, Sophie Yanow, and many others. He also teaches comics at Minneapolis College of Art & Design and the University of Minnesota. He lives in Minneapolis with his partner Nikki, two cats, and a dog. Speaking of shrines to Popeye.